Has the FBI ‘become America’s secret police,’ like the KGB? 6:56 AM 11/20/2017 Should The FBI Be Abolished? mikenova shared this story from | INFORUM. Holding impromptu interventions in Trump’s 26th-floor corner office at Trump Tower, advisers – including Trump’s son-in-law, Jared Kushner, and designated chief of staff, Reince Priebus – prodded the president-elect to accept the findings that the nation’s spy chiefs had personally presented to him on Jan. 6. They sought to convince Trump that he could affirm the validity of the intelligence without diminishing his electoral win, according to three officials involved in the sessions. More important, they said that doing so was the only way to put the matter behind him politically and free him to pursue his goal of closer ties with Russian President Vladimir Putin. But as aides persisted, Trump became agitated. He railed that the intelligence couldn’t be trusted and scoffed at the suggestion that his candidacy had been propelled by forces other than his own strategy, message and charisma. The result is without obvious parallel in U.S. history, a situation in which the personal insecurities of the president – and his refusal to accept what even many in his administration regard as objective reality – have impaired the government’s response to a national security threat. The repercussions radiate across the government. Rather than search for ways to deter Kremlin attacks or safeguard U.S. elections, Trump has waged his own campaign to discredit the case that Russia poses any threat and he has resisted or attempted to roll back efforts to hold Moscow to account. His administration has moved to undo at least some of the sanctions the previous administration imposed on Russia for its election interference, exploring the return of two Russian compounds in the United States that President Barack Obama had seized – the measure that had most galled Moscow. Months later, when Congress moved to impose additional penalties on Moscow, Trump opposed the measures fiercely. Intelligence officials who brief the president play down information about Russia they fear might displease him, current and former officials said. Plans for the State Department to counter Russian propaganda remain stalled. And while Trump has formed a commission to investigate widely discredited claims of U.S. voter fraud, there is no task force focused on the election peril that security officials regard as a certainty – future Russian attacks. Trump has never convened a Cabinet-level meeting on Russian interference or what to do about it, administration officials said. Although the issue has been discussed at lower levels at the National Security Council, one former high-ranking Trump administration official said there is an unspoken understanding within the NSC that to raise the matter is to acknowledge its validity, which the president would see as an affront. His position has alienated close American allies and often undercut members of his Cabinet – all against the backdrop of a criminal probe into possible ties between the Trump campaign and the Kremlin. This account of the Trump administration’s reaction to Russia’s interference and policies toward Moscow is based on interviews with more than 50 current and former U.S. officials, many of whom had senior roles in the Trump campaign and transition team or have been in high-level positions at the White House or at national security agencies. Most agreed to speak only on the condition of anonymity, citing the sensitivity of the subject. Others questioned how such an effort could succeed when the rationale for that objective is routinely rejected by the president. Michael V. Hayden, who served as CIA director under President George W. Bush, has described the Russian interference as the political equivalent of the Sept. 11, 2001, attacks, an event that exposed a previously unimagined vulnerability and required a unified American response. The feeble American response has registered with the Kremlin. U.S. officials said that a stream of intelligence from sources inside the Russian government indicates that Putin and his lieutenants regard the 2016 “active measures” campaign – as the Russians describe such covert propaganda operations – as a resounding, if incomplete, success. Moscow has not achieved some its most narrow and immediate goals. The annexation of Crimea from Ukraine has not been recognized. Sanctions imposed for Russian intervention in Ukraine remain in place. Additional penalties have been mandated by Congress. And a wave of diplomatic retaliation has cost Russia access to additional diplomatic facilities, including its San Francisco consulate. But overall, U.S. officials said, the Kremlin believes it got a staggering return on an operation that by some estimates cost less than $500,000 to execute and was organized around two main objectives – destabilizing U.S. democracy and preventing Hillary Clinton, who is despised by Putin, from reaching the White House. The Russian operation seemed intended to aggravate political polarization and racial tensions and to diminish U.S. influence abroad. The United States’ closest alliances are frayed, and the Oval Office is occupied by a disruptive politician who frequently praises his counterpart in Russia. U.S. officials declined to discuss whether the stream of recent intelligence on Russia has been shared with Trump. Current and former officials said that his daily intelligence update – known as the president’s daily brief, or PDB – is often structured to avoid upsetting him. Russia-related intelligence that might draw Trump’s ire is in some cases included only in the written assessment and not raised orally, said a former senior intelligence official familiar with the matter. In other cases, Trump’s main briefer – a veteran CIA analyst – adjusts the order of his presentation and text, aiming to soften the impact. “If you talk about Russia, meddling, interference – that takes the PDB off the rails,” said a second former senior U.S. intelligence official. Trump’s aversion to the intelligence, and the dilemma that poses for top spies, has created a confusing dissonance on issues related to Russia. The CIA continues to stand by its conclusions about the election, for example, even as the agency’s director, Mike Pompeo, frequently makes comments that seem to diminish or distort those findings. In October, Pompeo declared the intelligence community had concluded that Russia’s meddling “did not affect the outcome of the election.” In fact, spy agencies intentionally steered clear of addressing that question. On Jan. 6, two weeks before Trump was sworn in as president, the nation’s top intelligence officials boarded an aircraft at Joint Base Andrews on the outskirts of Washington to travel to New York for one of the most delicate briefings they would deliver in their decades-long careers. Director of National Intelligence James R. Clapper Jr., CIA Director John Brennan and National Security Agency chief Michael S. Rogers flew together aboard an Air Force 737. FBI Director James B. Comey traveled separately on an FBI Gulfstream aircraft, planning to extend his stay for meetings with bureau officials. The mood was heavy. The four men had convened a virtual meeting the previous evening, speaking by secure videoconference to plan their presentation to the incoming president of a classified report on Russia’s election interference and its pro-Trump objective. During the campaign, Trump had alternately dismissed the idea of Russian involvement – saying a hack of the Democratic National Committee was just as likely carried out by “somebody sitting on their bed that weighs 400 pounds” – and prodded the Kremlin to double down on its operation and unearth additional Clinton emails. The officials had already briefed Obama and members of Congress. As they made their way across Manhattan in separate convoys of black SUVs, they braced for a blowup. “We were prepared to be thrown out,” Clapper said in an interview. Instead, the session was oddly serene. The officials were escorted into a spacious conference room on the 14th floor of Trump Tower. Trump took a seat at one end of a large table, with Vice President-elect Mike Pence at the other. Among the others present were Priebus, Pompeo and designated national security adviser Michael Flynn. Following a rehearsed plan, Clapper functioned as moderator, yielding to Brennan and others on key points in the briefing, which covered the most highly classified information U.S. spy agencies had assembled, including an extraordinary CIA stream of intelligence that had captured Putin’s specific instructions on the operation. Trump seemed, at least for the moment, to acquiesce. A copy of the report was left with Trump’s designated intelligence briefer. But there was another, more sensitive matter left to cover. Clapper and Comey had initially planned to remain together with Trump while discussing an infamous dossier that included salacious allegations about the incoming president. It had been commissioned by an opposition research firm in Washington that had enlisted a former British intelligence officer to gather material. As The Washington Post reported in October, the research was paid for by the Clinton campaign and the DNC. But in the end, Comey felt he should handle the matter with Trump alone, saying that the dossier was being scrutinized exclusively by the FBI. After the room emptied, Comey explained that the dossier had not been corroborated and that its contents had not influenced the intelligence community’s findings – but that the president needed to know it was in wide circulation in Washington. Senior officials would subsequently wonder whether the decision to leave that conversation to Comey helped poison his relationship with the incoming president. When the dossier was posted online four days later by the news site BuzzFeed, Trump lashed out the next morning in a 4:48 a.m. Twitter blast. “Intelligence agencies never should have allowed this fake news to ‘leak’ into the public,” Trump said. “One last shot at me. Are we living in Nazi Germany?” The Post was one of several news organizations that had received the dossier months earlier, had been attempting to verify its claims and had not published it. After leaving the Jan. 6 meeting at Trump Tower, Comey had climbed into his car and began composing a memo. “I knew there might come a day when I would need a record of what happened, not just to defend myself but to defend the FBI and our integrity as an institution,” he testified to Congress in June. It was the first of multiple memos he would write documenting his interactions with Trump. Clapper’s office released an abbreviated public version of the intelligence report later that day. Trump issued a statement saying that “Russia, China” and “other countries” had sought to penetrate the cyberdefenses of U.S. institutions, including the DNC. In their Trump Tower interventions, senior aides had sought to cement his seeming acceptance of the intelligence. But as the first year of his presidency progressed, Trump became only more adamant in his rejections of it. In November, during a 12-day trip to Asia, Trump signaled that he believed Putin’s word over that of U.S. intelligence. As those remarks roiled Washington, Trump sought to calm the controversy without fully conceding the accuracy of the intelligence on Russia. He also aimed a parting shot at the spy chiefs who had visited him in January in New York. In the early days of his presidency, Trump surrounded himself with aides and advisers who reinforced his affinity for Russia and Putin, though for disparate reasons not always connected to the views of the president. Flynn, the national security adviser, saw Russia as an unfairly maligned world power and believed that the United States should set aside its differences with Moscow so the two could focus on higher priorities, including battling Islamist terrorism. Some on the NSC, including Middle East adviser Derek Harvey, urged pursuing a “grand bargain” with Russia in Syria as part of an effort to drive a wedge into Moscow’s relationship with Iran. Harvey is no longer in the administration. Others had more idiosyncratic impulses. Kevin Harrington, a former associate of Silicon Valley billionaire Peter Thiel brought in to shape national security strategy, saw close ties with oil- and gas-rich Russia as critical to surviving an energy apocalypse – a fate that officials who worked with him said he discussed frequently and depicted as inevitable. The tilt of the staff began to change when Flynn was forced to resign after just 24 days on the job for falsehoods about his conversations with the Russian ambassador. His replacement, Army Gen. H.R. McMaster, had more conventional foreign policy views that included significant skepticism of Moscow. The change helped ease the turmoil that had characterized the NSC but set up internal conflicts on Russia-related issues that seemed to interfere with Trump’s pursuit of a friendship with Putin. Among them was the administration’s position on NATO. The alliance, built around a pledge of mutual defense against Soviet or Russian aggression among the United States and its European allies, became a flash point in internal White House battles. McMaster, an ardent NATO supporter, struggled to fend off attacks on the alliance and its members by Trump’s political advisers. The president’s chief strategist, Steve Bannon, moved to undermine support for NATO within weeks of arriving at the White House. After securing a position on the NSC, Bannon ordered officials to compile a table of arrears – alleged deficits on defense spending by every NATO member going back 67 years. Officials protested that such a calculation was impractical, and they persuaded Bannon to accept a partial list documenting underspending dating from 2007. Bannon and his allies also maneuvered to sabotage displays of unity with the alliance. As NATO Secretary General Jens Stoltenberg arrived for an April visit at the White House, McMaster’s team prepared remarks for Trump that included an endorsement of Article 5 – the core NATO provision calling for members to come to one another’s defense. But the language was stripped out at the last minute by NATO critics inside the administration who argued that “it didn’t sound presidential enough,” one senior U.S. official said. A month later, Stephen Miller, a White House adviser close to Bannon, carried out a similar editing operation in Brussels where Trump spoke at a dedication ceremony for NATO’s gleaming new headquarters. Standing before twisted steel wreckage from the World Trade Center that memorialized NATO’s commitment to defend the United States after the 9/11 attacks, Trump made no mention of any U.S. commitment to mutual defense. Trump finally did so in June during a meeting with the president of Romania. Officials said that in that case, McMaster clung to the president’s side until a joint news conference was underway, blocking Miller from Trump and the text. A senior White House official said that Trump has developed a good relationship with Stoltenberg and often praises him in private. On sensitive matters related to Russia, senior advisers have at times adopted what one official described as a policy of “don’t walk that last 5½feet” – meaning to avoid entering the Oval Office and giving Trump a chance to erupt or overrule on issues that can be resolved by subordinates. Another former U.S. official described being enlisted to contact the German government before Chancellor Angela Merkel’s visit at the White House in March. The outreach had two aims, the official said – to warn Merkel that her encounter with Trump would probably be acrimonious because of their diverging views on refugees, trade and other issues, but also to urge her to press Trump on U.S. support for NATO. The signature moment of the trip came during a brief photo appearance in which Trump wore a dour expression and appeared to spurn Merkel’s effort to shake his hand, though Trump later said he had not noticed the gesture. Merkel has never fit into that Trump pantheon. Before her arrival, senior White House aides witnessed an odd scene that some saw as an omen for the visit. As McMaster and a dozen other top aides met with Trump in the Oval Office to outline issues Merkel was likely to raise, the president grew impatient, stood up and walked into an adjoining bathroom. When Hill responded with a perplexed look, Trump became irritated with what he interpreted as insubordination, according to officials who witnessed the exchange. As she walked away in confusion, Trump exploded and motioned for McMaster to intervene. McMaster followed Hill out the door and scolded her, officials said. Later he and a few close staffers met to explore ways to repair Hill’s damaged relationship with the president. Hill’s standing was further damaged when she was forced to defend members of her staff suspected of disloyalty after details about Trump’s Oval Office meeting with Russian Foreign Minister Sergei Lavrov and Russian Ambassador Sergey Kislyak – in which the president revealed highly classified information to his Russian guests – were leaked to The Post. White House officials insist that the Trump administration has adopted a tougher stance toward Moscow than the Obama administration on important fronts. They point to Trump’s decision, after a chemical weapons attack in Syria, to approve a U.S. military strike on a base where Russian personnel and equipment were present. They cite Trump’s decision in early August to sign legislation imposing additional economic sanctions on Moscow and steps taken by the State Department at the end of that month ordering three Russian diplomatic facilities – two trade offices and the consulate in San Francisco – closed. They also said that the NSC is preparing options for the president to deal with the threat of Russian interference in American elections. The administration’s accomplishments are to a large measure offset by complicating factors – Trump had little choice but to sign the sanctions – and competing examples. Among them is the administration’s persistent exploration of proposals to lift one of the most effective penalties that Obama imposed for Russia’s election interference – the seizure of two Russian compounds. Russia used those sprawling estates in Maryland and New York as retreats for its spies and diplomats but also – according to CIA and FBI officials – as platforms for espionage. The loss of those sites became a major grievance for Moscow. Lavrov has raised the confiscation of those properties in nearly every meeting with his American counterparts, officials said, accusing the United States of having “stolen our dachas,” using the Russian word for country houses. Putin may have had reason to expect that Russia would soon regain access to the compounds after Trump took office. In his recent guilty plea, Flynn admitted lying to the FBI about a conversation with the Russian ambassador in late December. During the call, which came as Obama was announcing sanctions on Russia, Flynn urged the ambassador not to overreact, suggesting the penalties would be short-lived. After a report in late May by The Post that the administration was considering returning the compounds, hard-liners in the administration mobilized to head off any formal offer. Several weeks later, the FBI organized an elaborate briefing for Trump in the Oval Office, officials said. E.W. “Bill” Priestap, the assistant director of the counterintelligence division at the FBI, brought three-dimensional models of the properties, as well as maps showing their proximity to sensitive U.S. military or intelligence installations. Appealing to Trump’s “America first” impulse, officials made the case that Russia had used the facilities to steal U.S. secrets. Trump seemed convinced, officials said. But on July 6, Tillerson sent an informal communication to the Kremlin proposing the return of the two compounds, a gesture that he hoped would help the two sides pull out of a diplomatic tailspin. Under the proposed terms, Russia would regain access to the compounds but without diplomatic status that for years had rendered them outside the jurisdiction of U.S. law enforcement. The FBI and some White House officials, including Hill, were livid when they learned that the plan had been communicated to Russia through a “non-paper” – an informal, nonbinding format. But “Tillerson never does anything without Trump’s approval,” a senior U.S. official said, making clear that the president knew in advance. Administration officials provided conflicting accounts of what came next. Two officials indicated that there were additional communications with the Kremlin about the plan. One senior official said that Tillerson made a last-minute change in the terms, proposing that the Maryland site be returned “status quo ante,” meaning with full diplomatic protections. 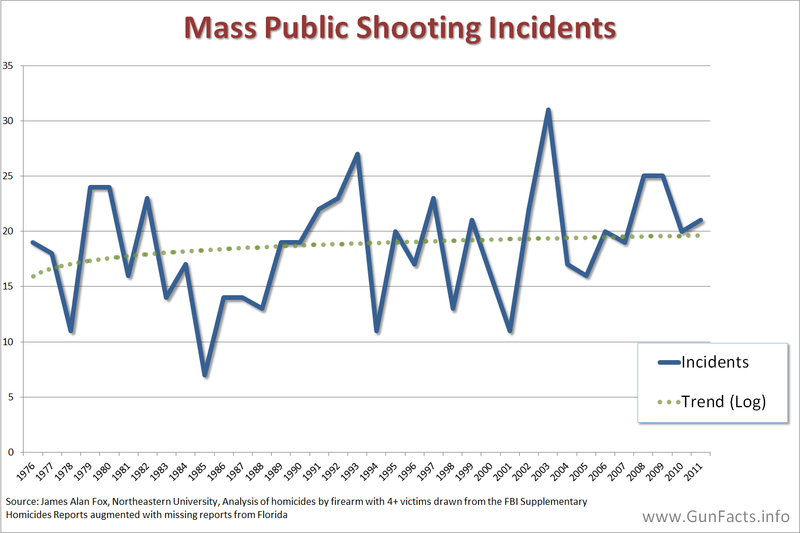 It would again be off-limits to law enforcement agencies, including the FBI. State Department officials disputed that account, however, saying that no such offer was ever contemplated and that the final proposal shared with the Kremlin was the non-paper sent on July 6 – one day before Trump met with Putin in Hamburg. Moscow made clear through Lavrov and others in mid-July that it regarded the overture, and the idea that any conditions would be placed on the return of the sites, as an insult. State Department officials interpreted that response as evidence that Russia’s real purpose was the resumption of espionage. With no deal on the dachas, U.S.-Russia relations plunged into diplomatic free fall. Even before Trump was sworn in, a group of senators including John McCain, R-Ariz., and Ben Cardin, D-Md., had begun drafting legislation to impose further sanctions on Russia. Sen. Bob Corker, R-Tenn., chairman of the Senate Foreign Relations Committee, had blocked the sanctions bill from moving forward at the behest of Tillerson, who kept appealing for more time to negotiate with Moscow. But after Comey’s firing in early May, and months of damaging headlines about Trump and Russia, an alarmed Senate approved new sanctions on Russia in a 98-to-2 vote. Trump at times seemed not to understand how his actions and behavior intensified congressional concern. After he emerged from a meeting in Hamburg with Putin, Trump said he and the Russian leader had agreed upon the outlines of a cooperative cybersecurity plan. Sen. Lindsey Graham, R-S.C., described the proposed pact as “pretty close” to “the dumbest idea I’ve ever heard” and introduced additional provisions to the sanctions bill that would strip Trump of much of his power to undo them – a remarkable slap at presidential prerogative. Then, in late July, new information surfaced about the extent of Trump’s interactions with Putin in Hamburg that sent another wave of anxiety across Capitol Hill. At the end of a lavish banquet for world leaders, Trump wandered away from his assigned seat for a private conversation with the Russian leader – without a single U.S. witness, only a Kremlin interpreter. A Trump administration official described the reaction to the encounter as overblown, saying that Trump had merely left his seat to join the first lady, Melania Trump, who had been seated for the dinner next to Putin. Whatever the reason, little over a week later both chambers of Congress passed the sanctions measure with overwhelming margins that would withstand any Trump veto. Trump’s frustration had been building as the measure approached a final vote. He saw the bill as validation of the case that Russia had interfered, as an encroachment on his executive authority and as a potentially fatal blow to his aspirations for friendship with Putin, according to his advisers. In the final days before passage, Trump watched MSNBC’s “Morning Joe” program and stewed as hosts Joe Scarborough and Mika Brzezinski declared that the bill would be a slap in the face to the president. After final passage, Trump was “apoplectic,” the adviser recalled. It took four days for aides to persuade him to sign the bill, arguing that if he vetoed it and Congress overturned that veto, his standing would be permanently weakened. Trump signed but made his displeasure known. His signing statement asserted that the measure included “clearly unconstitutional provisions.” Trump had routinely made a show of bill signings, but in this case no media was allowed to attend. Putin, who had shown such restraint in late December 2016, reacted to the new sanctions with fury, ordering the United States to close two diplomatic properties and slash 755 people from its staff – most of them Russian nationals working for the United States. Rather than voice any support for the dozens of State Department and CIA employees being forced back to Washington, Trump expressed gratitude to Putin. Trump has never explained why he so frequently seems to side with Putin. To critics, the answer is assumed to exist in the unproven allegations of coordination between Russia and the Trump campaign, or the claim that Putin has some compromising information about the American president. Aides attribute Trump’s affection for Putin to the president’s tendency to personalize matters of foreign policy and his unshakable belief that his bond with Putin is the key to fixing world problems. The allegations of collusion between Russia and the Trump campaign, which the president has denied categorically, also contribute to his resistance to endorse the intelligence, another senior White House official said. Acknowledging Russian interference, Trump believes, would give ammunition to his critics. Still others close to Trump explain his aversion to the intelligence findings in more psychological terms. The president, who burns with resentment over perceived disrespect from the Washington establishment, sees the Russia inquiry as a conspiracy to undermine his election accomplishment – “a witch hunt,” as he often calls it. Recent months have been marked by further erosion of the U.S.-Russia relationship and troubling developments for the White House, including the indictment of Trump’s former campaign manager Paul Manafort and the guilty plea of Flynn. Some of Trump’s most senior advisers support that view. One senior official said that Trump is right to portray the investigations and news reports as politically motivated attacks that have hurt the United States’ ability to work with Russia on real problems. A Pentagon proposal that would pose a direct challenge to Moscow – a plan to deliver lethal arms to Ukrainian forces battling Russia-backed separatists – has languished in internal debates for months. In July, the administration appointed former NATO ambassador Kurt Volker to serve as special envoy to Ukraine, putting him in charge of the delicate U.S. relationship with a former Soviet republic eager for closer ties with the West. Putin has taken extraordinary measures to block that path, sending Russian commandos and arms into Ukraine to support pro-Russian separatists. And Putin is bitter about U.S. and European sanctions imposed on Russia for its aggression. A decision by Trump to send arms would probably rupture U.S.-Russian relations beyond immediate repair. The conversation was about Ukraine but seemed to capture Trump’s frustration on so many Russia-related fronts – the election, the investigations, the complications that had undermined his relationship with Putin. Authors Information: Greg Jaffe is a national security reporter for The Washington Post, where he has been since March 2009. Greg Miller is a national security correspondent for The Washington Post. Philip Rucker is the White House Bureau Chief for The Washington Post. The Washington Post’s Adam Entous, Ellen Nakashima and Julie Tate contributed to this report. The leaders gathered at the 57-member Organization of Islamic Cooperation (O.I.C.) declared East Jerusalem to be the capital of Palestine yesterday in response to Trumps decision last week to recognize Jerusalem as the capital of Israel, the meeting also considered Trumps announcement to be a violation of U.N. resolutions and illegal under international law. Carlotta Gall reports at the New York Times. The U.N. should replace the U.S. as the mediator of Middle East peace talks, the Palestinian Authority leader Mahmoud Abbas said yesterday, signaling a possible refusal to engage with the U.S. following Trumps announcement. Karin Laub and Zeynep Bilginsoy report at the AP. The U.S. can no longer act impartially, the Turkish President Reçep Tayyip Erdoğan said at the O.I.C. meeting, Isil Sariyuce and Arwa Damon and Tamara Qiblawi report at CNN. All these statements fail to impress us, the Israeli Prime Minister Benjamin Netanyahu said in response to the O.I.C. communiqué recognizing East Jerusalem as Palestines capital. Al Jazeera reports. Trump remains as committed to peace as ever, a senior White House official said in response to Abbass comments that the Palestinians would no longer accept a U.S. role in the peace process, adding that the Trump administration would unveil its plan for peace when it is ready and the time is right. The APreports. The Israeli military carried out overnight airstrikes on facilities belonging to the Palestinian Hamas militant group in the Gaza Strip in response to rockets being fired from the territory, the AP reports. Israel announced the closure of its Gaza border crossing today in response to daily rocket fire over the past week, Reuters reports. The Islamic State group today threatened attacks on U.S. soil in response to the Trumps Jerusalem decision, but did not give any details. Reuters reports. Trumps announcement has angered Christians in the region and the pope of the Egyptian Coptic Church has called off a scheduled meeting with Vice President Mike Pence when he visits the region next week. Loveday Morris reports at the Washington Post. A video has emerged of plain clothes Israeli troops infiltrating a Palestinian demonstration in Ramallah near the military checkpoint in the occupied West Bank, the undercover soldiers arrested Palestinians throwing stones yesterday. Peter Beaumont reports at the Guardian. The Israeli government should be wary of aligning itself too closely with Trump as it has the potential to undermine the bipartisan support for Israel and ultimately undermine the U.S.-Israel relationship. Derek Chollet writes at Foreign Policy. Given North Koreas most recent missile test, clearly right now is not the time to engage in dialogue, a White House official said yesterday after Secretary of State Rex Tillerson said that the U.S. is ready to talk without preconditions. Zachary Cohen and Brian Todd report at CNN. The time for dialogue with North Korea is not now, the State Department spokesperson Heather Nauert said yesterday, emphasizing that the Trump administrations policy on North Korea has not changed: talks with North Korea must be based on a commitment to denuclearize. The BBC reports. The Security Council must be united in implementing sanctions on North Korea, the U.N. Secretary-General António Guterres said today during a visit to Japan, adding that diplomatic engagement must be permitted to achieve a peaceful resolution to the crisis. The AP reports. Tillerson is scheduled to participate in a Security Council Ministerial Briefing tomorrow and reiterate the Trump administrations efforts for maximum pressure to be exerted on North Korea. Max Greenwood reports at the Hill. The South Korean President Moon Jae-in landed in Beijing yesterday for an official trip aimed at improving ties with China, which have been strained due to the deployment of the U.S.-made T.H.A.A.D. anti-missile system in South Korea. The threat posed by North Korea and a resolution to the crisis on the Korean Peninsula are set to feature high on the agenda, Christopher Bodeen reports at the AP. The Russian-North Korean military commission have gathered to discuss a 2015 agreement preventing dangerous military activities, Russias embassy to North Korea said today, Reuters reporting. The U.S. reneged on its pledge to engage in talks with North Korea if it paused all nuclear and missile tests for 60 days and imposed new sanctions instead, North Korean officials have complained, raising skepticism in Pyongyang about the value of diplomatic engagement. Colym Lynch and Dan De Luce explain at Foreign Policy. The apparent shift in U.S. policy on North Korea in light of Secretary of State Rex Tillersons comments on engaging in talks without preconditions, is analyzed by Adam Taylor at the Washington Post. Deputy Attorney General Rod Rosenstein defended the Justice Department and special counsel Robert Muellers investigation into Russian interference in the 2016 election during testimony before the House Judiciary Committee yesterday, making the comments following revelations of alleged bias in text messages between top F.B.I. agent Peter Strzok and F.B.I. lawyer Lisa Page. Aruna Viswanatha and Del Quentin Wilber report at the Wall Street Journal. Republicans on the Committee called for investigations into former presidential candidate Hillary Clinton, the Justice Departments handling of the controversial dossier compiled by former British Intelligence officer Christopher Steele, and some called for an investigation into Mueller himself, however Rosenstein defended Mueller from the attacks and noted that Strzok was removed from Muellers team as soon as the special counsel learned of the text messages. Kyle Cheney and Josh Gerstein report at POLITICO. Rosenstein said he would only fire the special counsel if there was good cause and called Mueller a dedicated, respected and heroic public servant, Spencer Ackerman reports at The Daily Beast. Donald Trump Jr. appeared before the Senate Intelligence Committee yesterday as part of their investigation into Russian interference in the 2016 election, Reuters reports. There are causes of concern regarding Muellers investigation, the results till now suggest that his probe is free of political taint, but the special counsel must be mindful that the appearance of fairness is as important as the reality, therefore he should remove Andrew Weissmann from his team because he does not appear to be objective. Andrew C. McCarthy writes at the Washington Post. Mueller has undermined his own credibility, his team have been revealed to have been biased, the talk of anti-Trump insurance policy among F.B.I. officials suggest potential nefarious activity, and the Justice Department and the F.B.I. have damaged public confidence by refusing to cooperate with Congress. The Wall Street Journal editorial board writes. Iran may be defying a U.N. resolution calling on it to halt ballistic missile development, the U.N. Secretary-General António Guterres has said in a report to the Security Council, which said that the U.N. was investigating the possible transfer of ballistic missiles to the Houthi Shiite rebels in Yemen. However, the report emphasized that the 2015 Iran nuclear deal remains the best way to ensure that Irans nuclear program remains exclusively peaceful in nature. Edith M. Lederer reports at the AP. The Trump administration has been turning its focus to Iran as its military campaign against the Islamic State group winds down, with some sources saying that the national security adviser H.R. McMaster is considering giving a policy speech on Syria that would outline a new administration strategy and may address the issue of whether U.S. troops in Syria should be used as a bulwark against Iranian expansionism. Dion Nissenbaum reports at the Wall Street Journal. The U.N. special rapporteur on torture, Nils Melzer, claimed that the U.S. has been torturing a detainee at Guantánamo Bay despite banning so-called enhanced interrogation techniques, Melzer made the statement yesterday based on information he has received, however the Pentagon has denied the allegation with a spokesperson saying that no credible evidence has been found to substantiate his claims. Rebecca Kheel reports at the Hill. The president signed a statement this week saying that he was keeping the prison at Guantánamo Bay open, but added that he had authority under the constitution as commander-in-chief to release captives, an action that bears similarity to the authority asserted by President Barack Obama, but the statement differed by explicitly saying that the president fully intends to keep open that detention facility and to use it for detention operations. Carol Rosenberg reports at the Miami Herald. Visits by the U.S. navy vessels to Taiwan would constitute an interference in Chinas internal affairs, Chinas foreign ministry spokesperson Lu Kang said today, after Trump signed into law the National Defense Authorization Act, which lays the groundwork for possible mutual visits. Michael Martina and Jess Macy Yu report at Reuters. The longer-term concerns of U.S. strategists may turn to the influence exerted by China, while the current focus has been on Russia, China has been developing its soft power, economic interests, possibly interfering in the politics of other countries and using its reach to shape norms and narratives. Ishaan Tharoor writes at the Washington Post. Russian President Vladimir Putins declaration of impending victory in Syria was an over-simplification that does not take into account the vast swaths of territory beyond the control of Putins ally, Syrian President Bashar al-Assad. Alexander Smith provides an analysis at NBC News. The Islamist al-Shabaab group claimed responsibility for a suicide bomb attack on a police training camp in Somalias capital of Mogadishu today, the explosion killed at least 15 officers, according to officials. Abdi Sheikh and Feisal Omar report at Reuters. A U.S. citizen who has been held as an enemy combatant in Iraq also hold Saudi Arabian citizenship, the detainee was captured in mid-September and surrendered to the U.S. military having apparently fought with the Islamic State group in Syria. Katie Bo Williams reports at the Hill. The Senate Foreign Relations Committee does not expect to pass a new Authorization on the Use of Military Force (A.U.M.F.) before the end of the year, the chairman of the committee Bob Coker (R-Tenn.) said yesterday, adding that there has, however, been progress on the measure and five principles on the authorization have been circulated. Rebecca Kheel reports at the Hill. The closeness between the Russia-based cybersecurity firm Kaspersky Lab and Russias F.S.B. security service appears to be unusually close according to a court document revealed by suspected cybercriminal from his jail in Moscow. Ellen Nakashima reports at the Washington Post. The nearly $700bn allocated to the Pentagon in the annual defense policy bill ignores Americas other urgent needs, some of the budget process has been influence by lobbyists who woo lawmakers to back unneeded or extravagant weapons. While the military is critical to national security, it should not have a license to gobble up tax dollars at the expense of other programs, the New York Times editorial boardwrites. 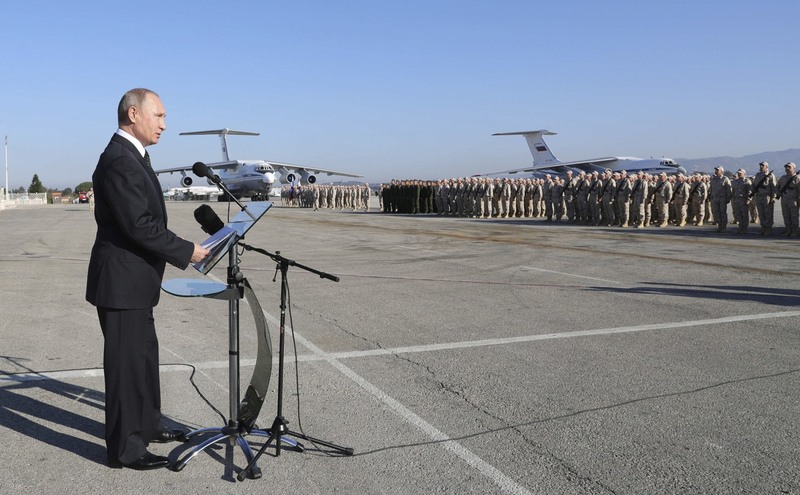 Standing under clear skies at an air base in Syria, Russian President Vladimir Putin told his troops the good news: They had all but secured victory in the Middle East country’s six-year civil war. “The task of combating armed gangs here in Syria … has been largely resolved — brilliantly resolved,” he said during a surprise announcement Monday. But many experts say Putin’s victory lap is premature with huge swaths of the country still out of the control of his ally, President Bashar Assad. Assad has been fighting a patchwork rebel force since 2011 — a conflict that the hyper-violent Islamic State entered three years later. 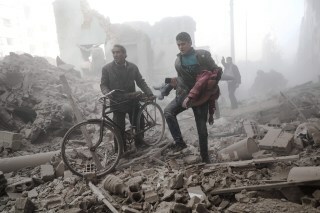 His regime was losing ground until Russia joined the fray in 2015, launching what many say has been an indiscriminate bombing campaign that turned the tide in Assad’s favor. An estimated 400,000 people have died in the conflict and 11 million have been displaced from their homes. During the battle for Aleppo, perhaps the war’s most notorious chokepoint, United Nations investigators found that all sides were guilty of war crimes. For its part, the Assad’s regime has been accused of chemical attacks on its own people, laying sieges that cut off civilians from essential supplies, and torturing or arbitrarily killing thousands of prison inmates. This campaign has put Assad in a commanding position. Supported by Russian airstrikes, as well as Iran, Lebanese Hezbollah and Shiite militias, Syrian forces have squeezed most of the rebels into a relatively small pocket in Idlib Province. ISIS has been routed from its strongholds of Raqqa and Deir el-Zour and currently controls a sliver of land along the Euphrates River and Syria’s border with Iraq, as well as other low-population desert areas. 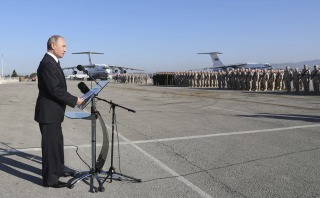 Heralding these achievements during his victory speech Monday, Putin also announced he would withdraw some of his forces from Syria because they were no longer necessary. Whatever Putin’s next motive, most experts agree that a complete victory for his Syrian allies is some way off. Although precise estimates vary, some say Assad only controls 60 percent of the country, and his forces are still fighting ISIS in the east and other rebels in the west. The parts of the country not governed by the regime are under the command of a web of different actors, each with their own agendas and demands that experts say could lead to more bloodshed. And it’s not just the forces that Assad is fighting directly whose presence he may have to worry about. Kurdish-led fighters backed by the United States were central to the liberation of Raqqa and areas along the Euphrates river. The Syrian Kurds also control a huge chunk of northeastern Syria and their long-held ambitions for statehood are vehemently opposed by Turkey. “Tensions between Turkey and Kurdish forces could escalate into armed conflict,” according to Ziad Majed, an associate professor at the American University in Paris, writing for the Carnegie Middle East Center last month. The U.S. has some 4,000 troops in Syria. And although President Donald Trump’s focus is apparently elsewhere, namely North Korea, U.S. officials cast doubt on Putin’s claims of victory. In Idlib Province, the al Qaeda-linked group Tahrir al-Sham is now the dominant force. And ISIS may be squeezed, but earlier this month the group claimed a car bomb attack in the city of Homs that killed 11 members of the Syrian army. One arena where Assad does appear to hold all the cards is the ongoing peace talks. The eighth round of negotiations began in Geneva last week but there is still little sign of progress. Assad’s representative suggested at one point that he might not even return to the summit because of the opposition’s demand that the president play no role in any interim administration. “The regime does not have a reason to negotiate,” said Haid at Chatham House. The only thing keeping Assad’s representatives engaged at all, according to Lowe at LSE, is international recognition. While Assad has emerged from the past six years still in charge, his supporters hope a peace deal could see Western powers accept his presidency as legitimate. mikenova shared this story from Gregg Jarrett – Google News. Fox News Network anchor Gregg Jarrett, who was arrested in a bar at Minneapolis-St.Paul Airport, may have been under the influence of medication that did not mix well with alcohol, a police report says, according to the Associated Press. The 59-year-old Jarrett was arrested Wednesday afternoon at Northern Lights Grill in Terminal One, according to Metropolitan Airports Commission spokesman Patrick Hogan, KARE-TV reports. Airport police, who were called to the bar, reported that Jarrett seemed intoxicated, acted belligerently and refused to follow their orders. A bar employee said Jarrett became intoxicated after only one drink, AP reported. He allegedly told a customer he took medication before his flight, but Jarrett denied the statement when questioned by police. Police found gabapentin pills in his pocket, according to the report. When officers searched Jarrett’s bag it was revealed he was recently released from an alcohol and chemical dependency treatment facility. Gabapentin is an anticonvulsant used to treat conditions ranging from epilepsy to restless leg syndrome, according to the U.S. National Library of Medicine. “Strange or unusual thoughts” and drowsiness are listed as potential side effects of the medication. Alcohol may add to the drowsiness, the Library of Medicine adds. According to the Star-Tribune, the police report also said that Jarrett, at one point, became increasingly agitated and swore as the arresting officer as fire department personnel began evaluating his medical condition. As the officer was trying to re-handcuff the newsman, Jarrett allegedly grabbed the officer’s arm. Struggling to get Jarrett cuffed, other officers helped subdue the inmate, who was then driven to jail in downtown Minneapolis, the newspaper reports. A Fox News spokeswoman said Jarrett, who has not been on the air since mid-April, is dealing with “serious personal issues” and his return to the air has yet to be determined. The newsman was booked into Hennepin County Jail and charged with interfering with a peace officer, a misdemeanor. County jail records show that Jarrett posted $300 bail and is scheduled for a court appearance on June 6. He was released at 1:30 a.m. Thursday. The website TVNEWSER reported this month that Jarrett, a weekend co-anchor, was taken off the air recently after requesting a leave of absence for personal reasons. The veteran newsman, who was born in Los Angeles, worked at MSNBC before joining Fox in 2002. Jarrett, who also worked at CNBC and Court TV, has covered stories ranging from the Iraq War to the O.J. Simpson trial. mikenova shared this story from The latest updates from The Obameter. A Fox News legal commentator argued the FBI has become the new KGB, the Soviet-era secret police, during a segment of Hannity. Are today’s FBI and yesterday’s KGB really interchangeable? Jarrett and Hannity said it wasn’t hyperbole. We checked with a range of experts in the history of both agencies, and even those who are no fans of past and present FBI practices say the comparison is wrongheaded. To be sure, some of the tactics Jarrett cited are used by the FBI, or more broadly by law enforcement agencies in the United States. The pre-dawn, break-down-the-door raid ordered at a house owned by Manafort — President Donald Trump’s former campaign chairman now under indictment on several counts involving his foreign lobbying business — is not especially unusual. Such raids are more common in drug investigations than in white collar crime, according to Radley Balko, a criminal justice blogger for the Washington Post and author of Rise of the Warrior Cop: The Militarization of America’s Police Forces. Meanwhile, law enforcement has the ability to conduct warrantless wiretaps under certain circumstances, despite the longstanding opposition of civil liberties groups. A category of subpoena called a “national security letter” provides “a law-enforcement officer with broad discretion or authority to search and seize unspecified places or persons,” said John Pike, director of <a href=”http://globalsecurity.org” rel=”nofollow”>globalsecurity.org</a>. National security letters have been used to trawl through “customer records held by banks, telephone companies, Internet service providers, and others,” who are then prevented from telling anyone about these searches, according to the Electronic Privacy Information Center. However, the use of such tools does not make the FBI, or any other U.S. law enforcement agency, the same as a secret police agency such as the old KGB. For one thing, those tactics sometimes may be needed. “Legitimate concerns about the increase in law enforcement’s surveillance capacity over the last decade or so are de-legitimized by such a specious pairing of agencies,” said Victor E. Kappeler, a criminologist at Eastern Kentucky University and co-author of Policing in America and Homeland Security. Here are some of the reasons why any comparison between the two agencies is problematic. “By ‘secret police,’ we do not mean ‘police activity that is secret’ any more than by ‘public interest’ we mean ‘what the public is interested in,’ ” said Anthony Glees, director of the Center for Security and Intelligence Studies at the University of Buckingham and the author of The Stasi Files: The UK Operations of the East German Intelligence and Security Service. Indeed, the very fact that a legal analyst can criticize the FBI on a national television broadcast is a significant departure from anything that would be possible in a country with a true secret police. • The FBI is run by laws, not by whim. The KGB — which translates from the Russian acronym for Committee for State Security — answered to and served the interests of the Communist Party, not any system of law. Simon Ball, the chair of international history and politics at the University of Leeds and author of The Cold War: An International History 1947-1991, agreed. “The contemporary U.S. political system and the Soviet political system of 1954, when the KGB was formed, are not comparable in any sensible analytical scheme,” he said. Even as bad as the Hoover-era FBI was about civil liberties and abuse of power, Charles said, “it was still no KGB-like organization coming for people in the dead of night who were then ‘disappeared.’ ” Indeed, he said, the excesses of Hoover’s tenure were, to a large extent, curbed after his death by the ordinary workings of the democratic process. A Fox News representative did not respond to an inquiry for this article. Jarrett said that “the FBI has become America’s secret police … “The FBI has become America’s secret police … like the old KGB.” He also agreed with Hannity that the statement was not an exaggeration. Numerous historians of the FBI and the KGB say the comparison is ridiculous. The KGB implemented the goals of the Communist Party leadership, including countless examples of tortures and summary executions. The FBI, by contrast, is subject to the rule of law and is democratically accountable. 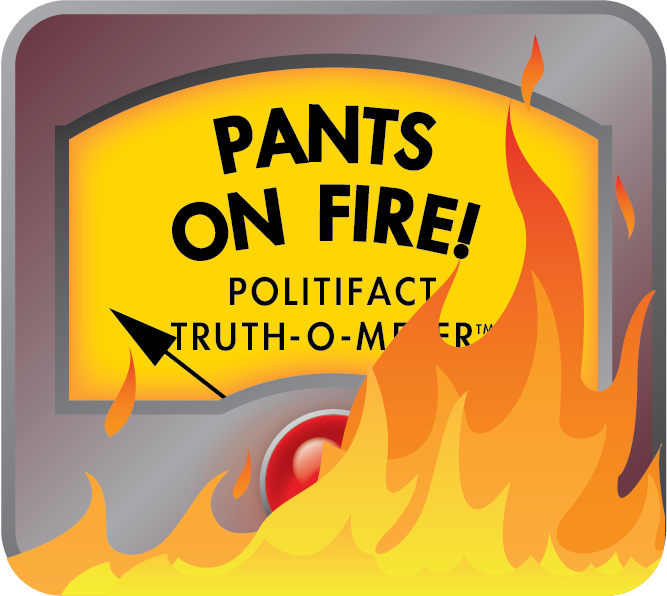 We rate the statement Pants on Fire. mikenova shared this story from Public RSS-Feed of Mike Nova. Created with the PIXELMECHANICS ‘GPlusRSS-Webtool’ at http://gplusrss.com. 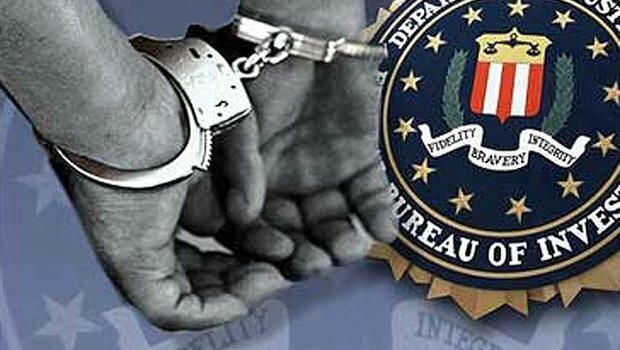 A fugitive police officer sought over links to the Fethullahist Terrorist Organization (FETÖ) said he received financial aid from the FBI during a trial into a former Turkish bank executive held in the United States. Former police officer Hüseyin Korkmaz acknowledged receiving financial assistance from the U.S. government, including $50,000 from the FBI and housing assistance from prosecutors, Courthouse News reported on Dec. 12. Cooperating with the prosecutors, Korkmaz has been testifying against the former Halkbank deputy general manager Mehmet Hakan Atilla. Another name cooperating with the prosecutor is Turkish-Iranian businessman Reza Zarrab, who was arrested in the Miami last year over violating U.S. sanctions on Iran. Zarrab’s name was involved in the corruption probes in Turkey from Dec. 17-25, 2013, which also embroiled four former ministers and other state officials. Zarrab was accused of paying bribes to senior government figures but eventually the charges were quashed by the government, which said the probe was masterminded by followers of the U.S.-based Islamic preacher Fethullah Gülen. 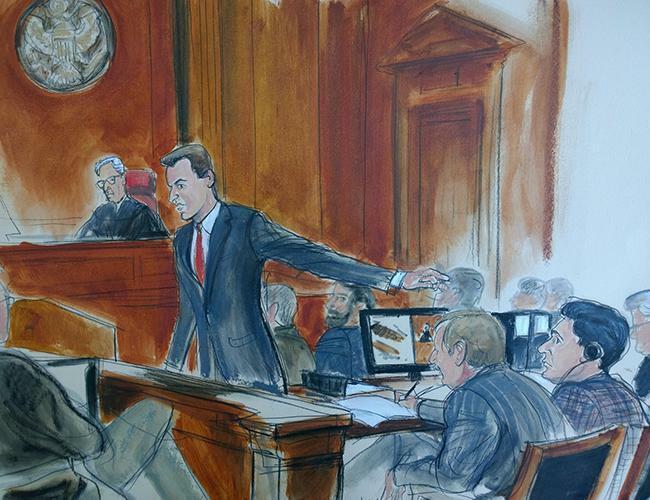 After getting arrested in the U.S., Zarrab become the prosecution’s top witness in the trial, leaving Atilla as the sole man on the dock accused of violating sanctions, bribery and money laundering. Atilla’s trial continued on Dec. 12 with the testimony of Korkmaz, who said he received financial aid from the U.S. authorities but had not asked for it. Along the way, Korkmaz claimed that Turkish police were watching Halkbank’s former general manager Süleyman Aslan, former Turkish Economy Minister Zafer Çağlayan and former Interior Minister Muammer Güler. On Dec. 12, Korkmaz turned his sights to the man on trial, referring to evidence that he said he found on Zarrab’s cellphone. Korkmaz added later that he recognized the last four digits of two phone numbers: Atilla’s and Zarrab’s. Such testimony could prove crucial for prosecutors to prove that Atilla played an important role in a scheme in which his attorneys contend he was at best, a minor player. Before fleeing Turkey, Korkmaz said, he gathered all of the evidence of the cases he had been building and prosecutors entered more of that evidence into the record. “Zarrab was put under pressure either with the threat of punishment or on the hope of being released. Would you seek justice in this case?” Bozdağ told parliament during 2018 budget talks on Dec. 12. “FETÖ terrorists are witnesses in the trial,” he said. “Recent testimonies have surfaced. The FETÖ terrorist who carried out the Dec. 17 investigation is there and says he ‘brought the documents and pieces of paper.’ He is a witness. Another witness is a fugitive FETÖ banker and his signature is on a piece of paper that is a so-called report there. An official expert was appointed from a non-governmental organization financially supported by FETÖ,” Bozdağ said, noting that the case’s judge Richard Berman visited Turkey in 2014. “The judge carrying out the trial was brought to Turkey in May 2014 by FETÖ members. This judge released a statement of support regarding the Dec. 17-25 process here,” he added. “But it is impossible for them to finish a plot in the U.S. that started in Turkey,” Bozdağ said, decrying “lies and smears” in the trial. “This is a plot and all of those [allegations] were investigated by prosecutors in Turkey. They were also investigated by parliament and decisions were given. So there is nothing new. No one has the right to tire Turkey with these smears and lies. Our stance in this regard is very clear and we will continue to maintain our stance on the side of the people,” he said. 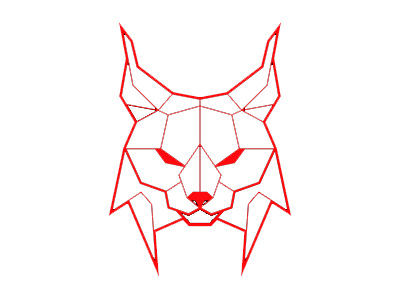 mikenova shared this story from former FBI agents power influence – Google News. mikenova shared this story from FB-RSS feed for Palmer Report. mikenova shared this story from Russian Intelligence, organized crime and war on police – Google News. mikenova shared this story from Twitter search feed for: investigation of fbi..
Let the man do his job as he has done thus far, quietly and effectively. As has so often been pointed out to President Trump’s followers, the more you leave Mueller to his task, the more quickly he will probably finish it. To the editor: Forgive me if I seem somewhat more cynical than columnist Doyle McManus in his characterization of the anti-Mueller campaign as something that might cause Trump to fire the special counsel. It doesn’t take too wild of an imagination to assume that this “campaign” is being orchestrated by Trump’s inner circle as a prelude to Mueller’s dismissal. 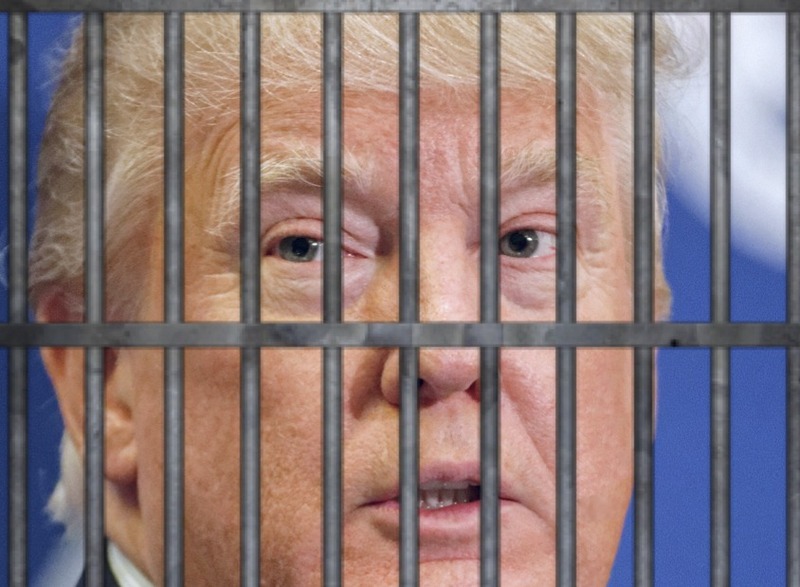 Trump is now facing the Hobson’s choice of allowing Mueller’s investigation to continue, thereby almost certainly exposing a boatload of Trump’s questionable financial dealings, which could provide grounds for impeachment, or firing Mueller and hoping to whether the resultant calls for impeachment. The president would be more likely to survive the latter scenario, especially if he dismisses Mueller when the electorate is distracted with holiday preparations. So, look for Trump to act just before Christmas Day. To the editor: As the Los Angeles Times’ former Washington bureau chief, McManus knows well that what is going on now with Mueller pales in comparison to the bashing of special prosecutor Kenneth Starr by Bill Clinton’s ferocious partisans in the late 1990s. Those doing the Mueller bashing today would be well-advised to take a page or two from the history books on Starr’s demonization. To the editor: If Trump wants a successful Saturday Night Massacre, he should have Mueller fired before the pending tax legislation gets signed into law. While the Republicans in Congress have expressed publicly that a Mueller firing may trigger an obstruction of justice investigation — possibly cascading into a full-blown constitutional crisis — they will nary allow it to happen before their precious “Donor Relief Act” arrives at Trump’s desk ready for him to sign. mikenova shared this story from trump electorate – Google News. Is the US on the Verge of a Constitutional Crisis?